Romitaman Original Comic Book Art :: Private Collection :: Large Mary Jane And Gwen Stacy 'FACE IT TIGER' Pinup SOLD SOLD SOLD! by artist John Romita Sr. Check out this very nice LARGE Pinup which was penciled by the great John Romita Sr! 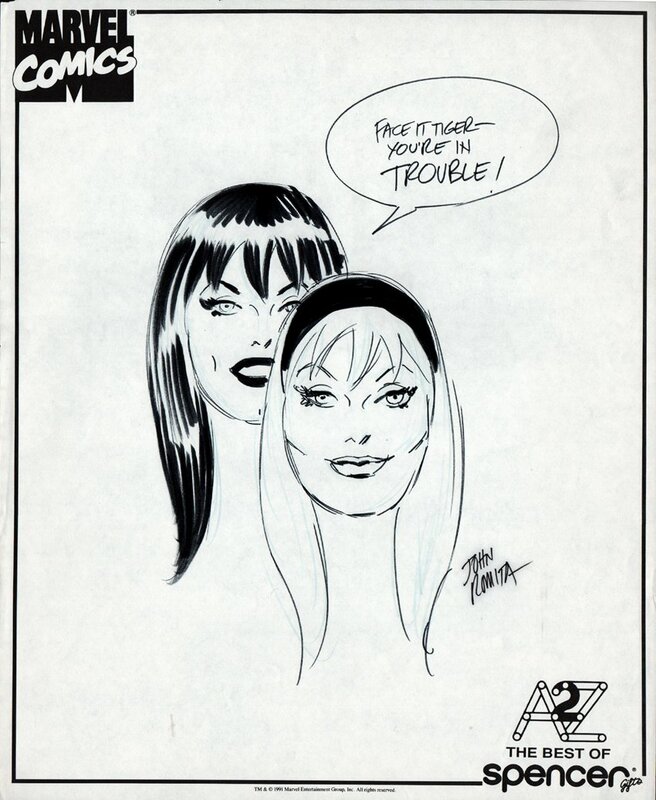 This Pinup features a nice large image of Gwen Stacy and Mary Jane Watson stating: "FACE IT TIGER--- YOU'RE IN TROUBLE!" as the intuition says that they are talking to Peter Parker! drawn on an 14 by 17 inch cover Marvel Comics art paper. Just a GREAT PIECE HERE FOLKS!